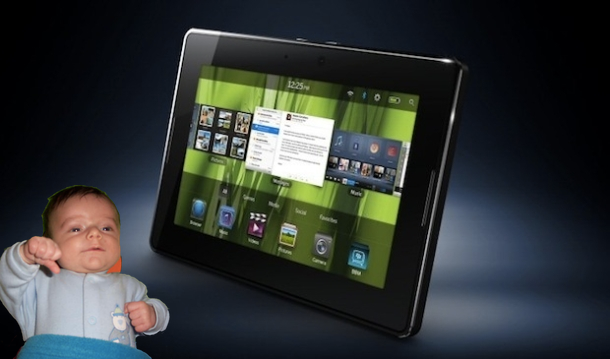 Did RIM Cancel The Planned 10-inch Playbook? It seems that RIM might have gotten the memo that consumers aren’t exactly flocking to the BlackBerry Playbook. The same site that broke specs about the 10-incher a few weeks ago is now reporting that it’s been axed. Like killed dead. Apparently development resources are needed for RIM’s next big project: A QNX BlackBerry superphone. Said phone doesn’t have a release date code name or any details just yet. Chances are the way RIM is going right now, this so-called superphone might be their last chance to at glory. Either way, it’s probably best for RIM to stop developing another product that will likely meet the same fate as its predecessor. The Playbook hasn’t found many fans although the company keeps rolling updates. But as HP is soon going to find out with the TouchPad, producing a good product is only part of the equation anymore. You need a robust development community, dedicated fans and a well-made product.